In an Eyewitness News exclusive, ABC7 investigates how fentanyl, a prescription painkiller, has turned into a deadly cocktail being sold on Los Angeles streets. 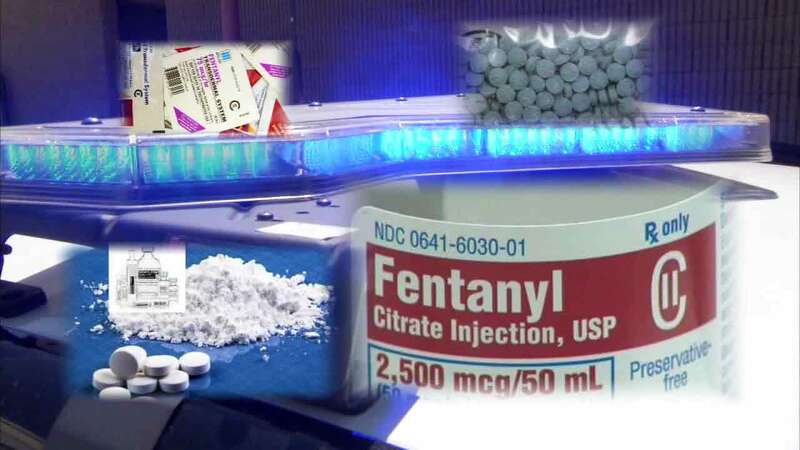 NEW YORK (WABC) -- The New York City Department of Health and Mental Hygiene (DOH) released a report Monday showing a significant increase in confirmed drug overdoses involving fentanyl. Since July 1, 47 percent of confirmed drug overdose deaths have been attributed to fentanyl. That is a considerable uptick compared to last year where just 16 percent of overdose deaths involved fentanyl. In the past ten years, fentanyl was relatively uncommon in overdose deaths with fewer than three percent involving the opioid. New data indicates 725 confirmed fentanyl overdose deaths to date in the city this year. The largest increase occurred in Manhattan. Fentanyl is a synthetic, short-acting opioid analgesic with a potency 50 to 100 times stronger than morphine. It carries a high risk of overdose. Many fentanyl overdoses have been connected to illegally manufactured fentanyl. It is a drug sold illicitly for its heroin-like effects and may even be mixed with heroin or other drugs. The city's health department is alerting medical personnel that a higher dose or multiple doses of naloxone may be required to reverse some opioid-involved overdoses involving fentanyl.